Kotick: Activision (NASDAQ:ATVI) "5 Times Bigger Than Netflix"
Activision Blizzard (NASDAQ:ATVI) CEO Bobby Kotick had big words for anyone who would listen at Vanity Fair’s New Establishment Summit last week, claiming that his network is about five times the size of Netflix (NASDAQ:NFLX) with a reach of 500 million active monthly users across 196 countries. CEO’s have a history of talking up their own companies of course and Bobby is no different to countless others. Let’s take a look at his claim in a bit more detail and the surrounding backdrop against which he makes this claim. Activision are the owners of KING, developers of the monolithic Candy Crush, after purchasing them for $5.9 billion last year. Also, as developers of games like Call of Duty, World of Warcraft and the hugely popular Overwatch, it’s impossibly to deny that the company has incredible reach. However, this is very much a new media company trying to take a little of the reflected glory of another famous disruptive firm. Netflix is of course a darling of the business world. It turned a lot about the traditional world of media on its head and has seen off some pretty big competitors in the process. But we have to keep in mind that there is a key critical difference here. Netflix changed an existing market. 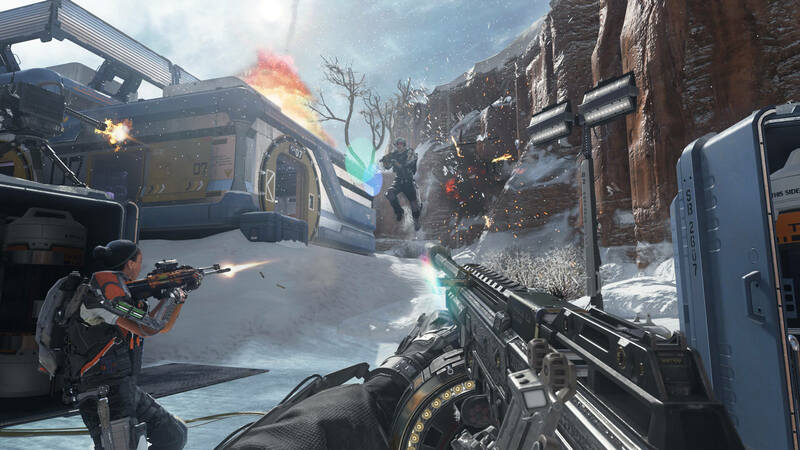 Activision are trying to control a new one while expanding into a current one. TV has been around for a long time. The basic formulae of it hasn’t changed, but the technology to give users a more convenient experience has and consumers have grown used to paying for TV/movie based content. The question that faces Activision is a wholly different one. It has a huge user base, yes, but how does it monetise that base beyond the existing capabilities it already has with developing games? Games companies aren’t the first ones who have tried and failed to monetise huge reach (hi Twitter) so Activision need to be wary of similar pitfalls. As such, collaboration is the name of this particular game. In this instance, between CBS and Activision. It’s all well and good having Call of Duty, Warcraft and Starcraft on your roster of IP, but of course we live in an age where easy access and mobile has significantly further reach than someone who will sit down and play a campaign at 10+ hours or regularly get online to play competitively with others. As such, the big foray at the moment is into the Candy Crush TV game show. Candy Crush is a huge game, around the world there are millions of people playing it every single day. But getting these very same people to put their phones down to stop playing it, just to watch somebody on TV play an adapted real-life version of it will be a difficult prospect to say the least. Still, the firms seem to believe it’s worth a shot and it seems unlikely the cost of laying on a few tablets and a game show host will be prohibitive. In addition, Kotick also announced an Overwatch League. eSports are huge and just how big Overwatch is can’t be brought into question, but how this will work in the future will be something to keep an eye on to say the least. The first is, of course, monetising it. Something that Activision will invariably aim to do through its MLG platform. Though, as this direct quote from Bobby Kotick will make clear, the aim is something larger and more long-term. Successful broadcasts of eSports have been made over the past few years, and are becoming more frequent as time goes on. Here in the UK the BBC have broadcast highlights of the League of Legend world championships. ESPN have deals in place for certain games and the expansion of Ginx TV here in the UK and a handful of other countries as a channel dedicated to eSports and the rest of gaming. The problem is, the market just isn’t big enough to generate huge revenues, or at least not yet. Deloitte published a report predicting the global revenues of esports to around $500 million in 2016. Research company Newzoo, the most active in eSports, predicted revenues to rise to $1bn by 2019. They also maintain a running list of the largest games, both eSport and not, based on hours viewed on Twitch. These figures indicate that Activision hold half of the top ten games, with none of them capturing even ten percent of the market in 2016. It highlights the core issue eSports has at the moment: There is an audience, but it’s difficult to monetise them. The majority of those watching esports will watch live on either YouTube or Twitch, or even more likely, watch replays online. Being fixed to a certain timeslot or channel, which is invariably the issue with bringing anything to live TV, is a huge issue. Another large issue are the ever-changing rules of online video-games, where characters and functions are constantly being altered. No other sport or media has this much active disruption. Old media has been trying to monetise gaming in a less interactive manner for years, mostly with resounding (critical or financial) failures. However, they all know that it’s a big earner and somebody just needs to stumble upon the right way of capturing users/watchers imaginations before it will take off. eSports are a big possible contributor to that and we are in the midst of a user land grab while figuring out a monetisation strategy is happening in parallel or later. For the time being then, cross-subsidisation of loss making lines of business is likely to continue as the core profitable game making allows for the capturing of users, however they happen to be captured. Ultimately, someone will figure out how to make money out of the huge numbers of gamers and the wider interest in watching gaming or it will fall to the wayside. Amazon of course is one of the most significant investors in this with its purchase of Twitch a couple of years ago and Bezos’ ability to drag investors along with him as he expands into every business that takes his fancy is uncanny. Eventually they will seriously monetise their businesses, but in the meantime the continued rate of expansion shows no signs of slowing (licencing CryEngine last year and rebranding it as Lumberyard). Do Activision reach 500 million people? Sure. Can it effectively monetise them and turn it into additional profitable lines of business beyond the actual selling of games? That’s a different question entirely. They have had a failure in Call of Duty: Elite, but where one can have failure, there’s a chance for success. If the deal with CBS is anything to go by, it would seem that there is a tentative win to chalk up in Activision’s column for now. Still, as mentioned previously, lots of game IP has ended up in the hands of old media and has been very effectively mangled. Gaming is growing up, hence the land grab and surrounding industries investing more in it in recent years, but those investments are still with a serious note of caution. Anything which provides growth of users and revenue will attract the eye of the global financial markets and investors looking for a return. But woe betide the firm making promises it can’t deliver on.